Ticket Info: To purchase tickets or have your business sponsor this very special event, visit www.coabc.org/seniorchampions. 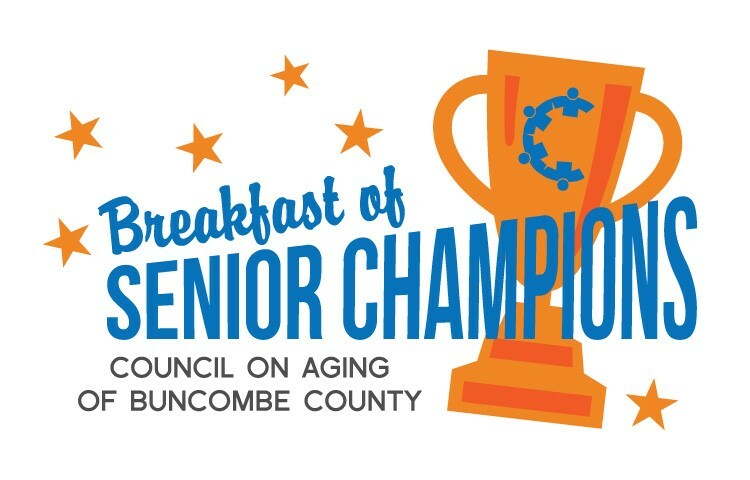 After a 3-month long campaign run by the Council on Aging of Buncombe County to the people of Asheville and surrounding areas calling for nominations of standout seniors in our community (or Senior Champions, as they’ve been dubbed by event organizers), the selection process is complete, and the champions have been chosen! Of the 24 submitted nominees, 8 Senior Champions were chosen to be honored at the inaugural Breakfast of Senior Champions event, hosted at The Top of The Plaza at the Renaissance Hotel in downtown Asheville, and emceed by Ken Ulmer of Mix 96.5. The event will provide an opportunity for people of all ages to come together in celebration of the notable older members of the community and their invaluable contributions! The judges panel which consisted of sponsors, media personalities and professionals, struggled in picking just 8 to be honored, because each nominee had a compelling, uplifting life story to tell! On the morning of the event, a poignant keynote speech will be delivered by Gregg Levoy, a nationally known author and speaker, in the spirit of living life to the fullest, as our Champions certainly have done! This event is an important way for our community to come together to express thanks and bear witness to a generation that has given us a beautiful legacy. Members of the public are invited to join us for a morning of festivities and well-deserved acknowledgment of this demographic. To purchase tickets or invest in a sponsorship for this very special event, businesses or individuals can visit our website, www.coabc.org, for more information. *The Council on Aging of Buncombe County is an organization that works toward assuring access to resources that help adults age with choice. Education, innovative programming, and coordination of resources for aging adults are top priorities of the organization.